Groot is a brown, tree-like being with black button eyes with relaxed eyelids. He has two tiny leaves growing from the top of his head. 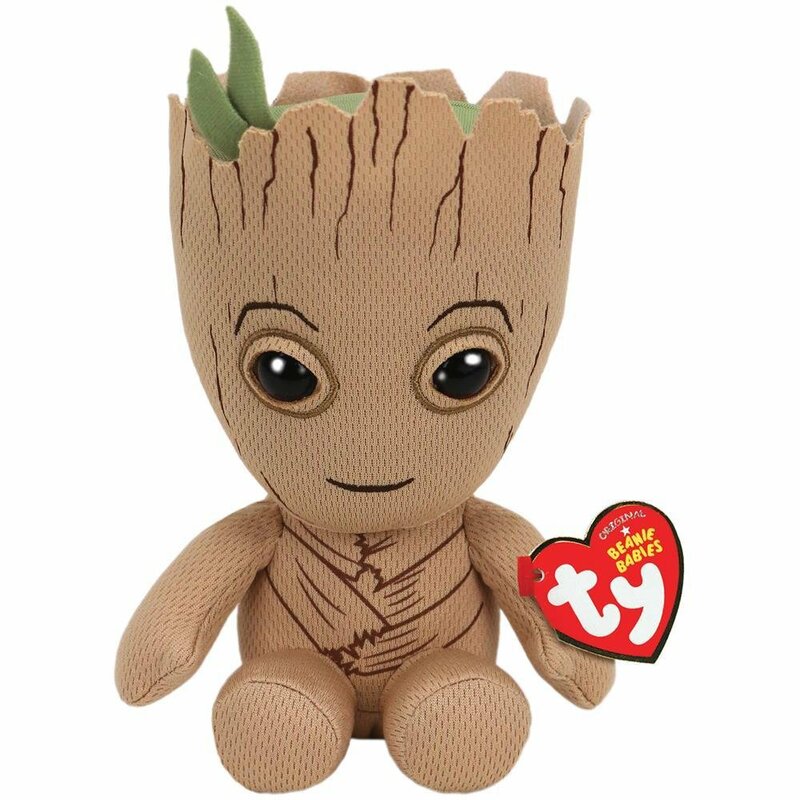 The Groot Beanie Baby was released in July 2018. Groot is a Marvel licensed Beanie Baby based on the character from the film, Guardians of the Galaxy. Before the film, Groot first appeared in the Marvel comic, Tales to Astonish which came out in 1960.